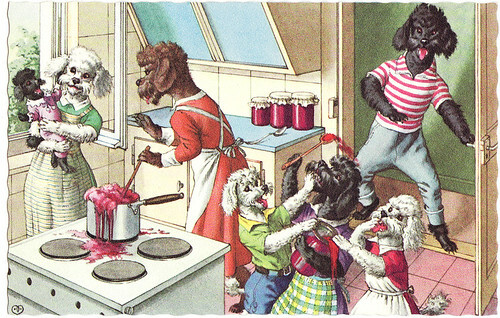 These poodles are getting ready for Thanksgiving. I think they must be making cranberry sauce. 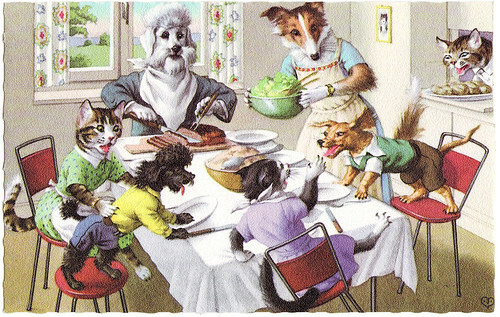 I hope your Thanksgiving tomorrow goes better than this lunch below and that the kids aren't fighting like cats and dogs. Hi! It's very funny and interesting games. Thanks for sharing it, suggest me some more games for thanksgiving party.